As a member of Telekom Austria Group—the largest telecommunications provider in all of Central and Eastern Europe—A1 Telekom generates more than 60% of the total revenue for their parent organization. With their long history in this industry, A1 Telekom depends heavily on legacy systems to keep their core business running, but these same systems come with a number of common challenges in the enterprise. 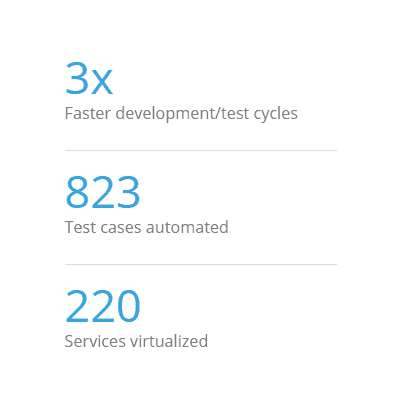 Trying to support 200 projects distributed across 60 critical systems with manual testing alone resulted in more than 10,000 tests performed annually, and only 3 to 4 major releases a year. A1 Telekom knew that transforming their approach to testing and software quality was required in order to deploy new features faster and avoid disruption. Manual testing simply could not give their organization the fast feedback and greater confidence in their releases that they needed, nor would it allow for A1 Telekom to reduce their overall testing costs. A1 Telekom understood that remaining the leader in their industry would require making consistent improvements to software speed and quality, and that Continuous Testing is how this is achieved. Tricentis, Qualysoft, and Wipro leveraged their close partnership to give A1 Telekom the solid foundation they needed to begin this transformation. While scaling automation rates is a priority for many enterprises, this can be incredibly complex, especially when longstanding integrations between mainframes, systems of record, mobile, and cloud resources exist. Tricentis, Qualysoft, and Wipro quickly discovered that service virtualization would be the key enabler for A1 Telekom to successfully scale their automation—given the interconnected complexity of their application landscape.